While travelling if you have not got lost and don’t have a lost story to tell, were you even travelling? I have a history of getting lost or getting separated from the group of people, or losing something important, like everywhere. It’s either I am getting lost or my parents or my friends! I thought why not share few glimpses of that today. We were in Venice, right in front of St. Mark’s Basilica mingling with people and waiting for our turn to enter the cathedral. We had some nice sandwich and cappuccino at a café at the Piazza and were pretty excited to be in Venice in the first place. Just before entering the cathedral I touched my sling bag (this was in 2006 or 2005 – I don’t quite remember – and sling bags were not in fashion, it was a small pouch bag with a long sling like strap) to see if everything was in place. I sometimes get this OCD rush when I am travelling. And guess what happened? The sling was there over my shoulder but the pouch was missing! WTF?? Where the hell was my bag. I was in Italy and that pouch had some Euros and my Passport!!!! Two things ran through my mind – my parents will probably disown me if I lose the passport and I might be deported back to India that very moment! I was super scared to report this to my parents even. I was what twenty year old that time. I even asked them to go ahead with the Basilica and I’ll join them in a while. But my dad understood something was wrong because I had turned al red! For twenty minutes I searched almost everywhere, from the café to the entrance of the church! It was finally another kind Indian Lady who came searching for me, she had found my purse. She was searching for me to help me out. Madam you saved me that day thank you! If you have visited Acropolis or anywhere Athens, Greece you will know it’s just tourist tourist tourist. Everyone wants to click a photo first and then see everything else. I was also young and carefree when I visited and climbed the place up much faster than our friends and my parents. All I wanted was someone to click my photo with the nice backdrop. Then I realized the camera was with my mom. (those were not the days of iPhones and smartphones). But where the hell was my mom, or my dad? They were tugging behind the last I remembered. But I didn’t see anyone! There were scores of tourists but not the people I was looking for. I went down the underground museum in search of them. They were not there as well. I think for an hour I left everything and kept searching for my parents. The other thought at the back of my mind was – they must be worried about me too, their only daughter was lost, and lost in Greece! This time my passport was not even with me – I started trusting my documents with my dad after my Venice experience. I forgot about the photos and everything else. I even reached the parking lot. I saw our bus parked; I thought maybe I can take the driver’s help to report to the police! And then guess what – my parents were seated inside the bus!!! They roamed around everywhere, finished the sightseeing and were waiting for me in the bus – supposedly! I still don’t know who was lost – me or them. And I don’t have a single photo of mine at Acropolis! There are many such incidents that I can write about, but may be later. 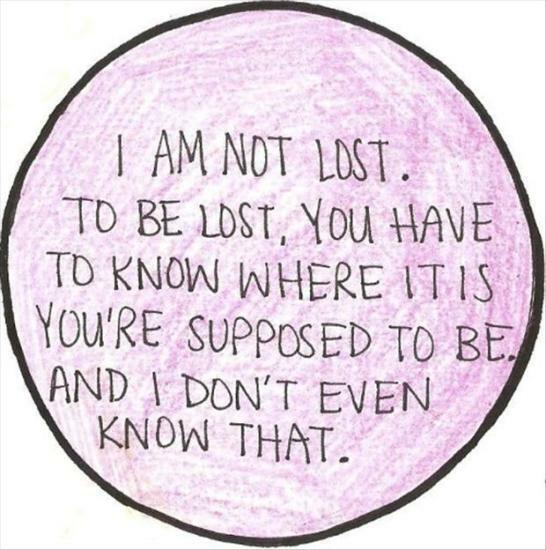 Tell me when was the last time you got lost in an unknown place?